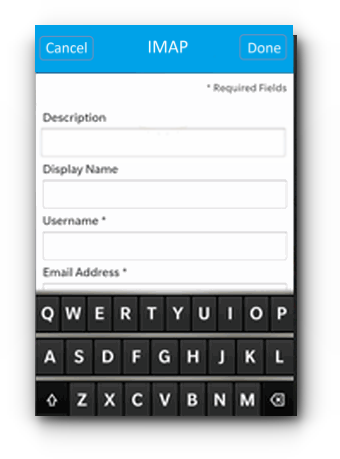 Home/Knowledge Base/Email/How to set up email account in BlackBerry? 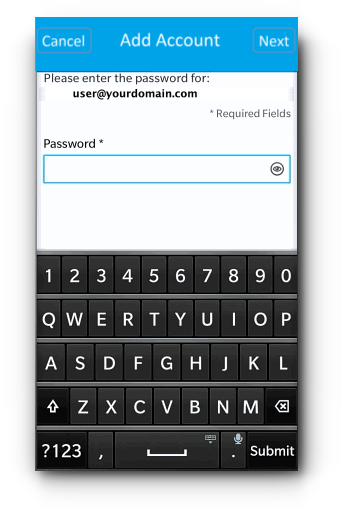 How to set up email account in BlackBerry? 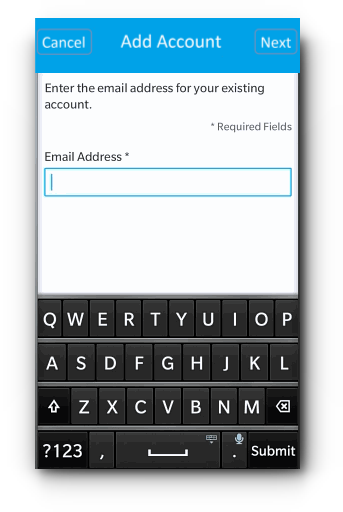 If you wish to access your emails in your BlackBerry device, please follow the instructions below on how to set up email account in BlackBerry (SSL). Step 1. 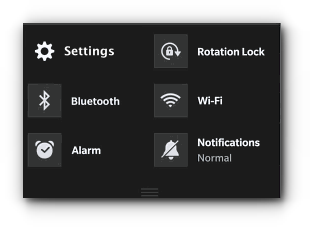 Click on Settings of your BlackBerry. Step 2. In the Settings page, choose Accounts. Step 3. 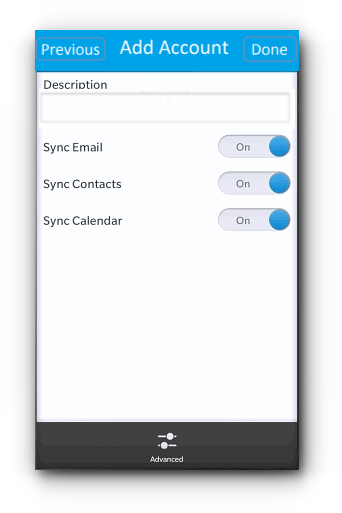 Tap on Email, Calendar and Contacts. Step 5. 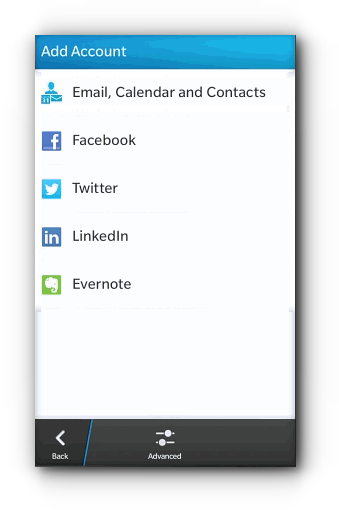 Enter the password of the email account and tap on Next button. Step 6. 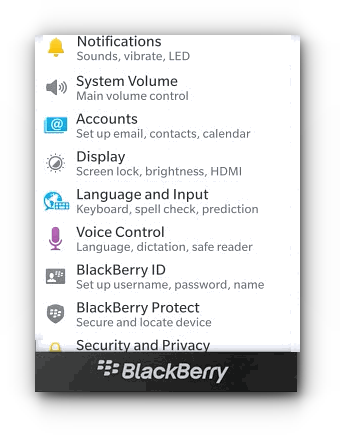 BlackBerry will try to look up for a connection, click on Advanced button located at the bottom of the screen. Step 6. 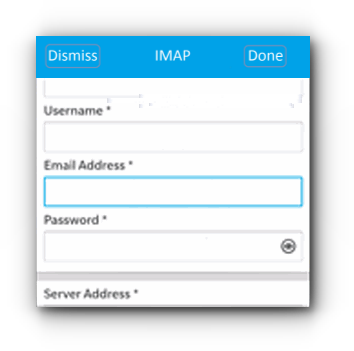 Choose on IMAP or POP. Email Address, and password of the email account. Step 8. Enter the Server Address which is your server name (example server.vodien.com).The Host Name depends on what server your domain name is currently hosted. For Shared Hosting to check what your Host Name is, kindly access http://yourdomain.com/cpanel (example: http://vodien.com/cpanel, you need to replace yourdomain.com with your actual domain name). If you do not know what the mail server is, kindly be guided by our mail server information page. 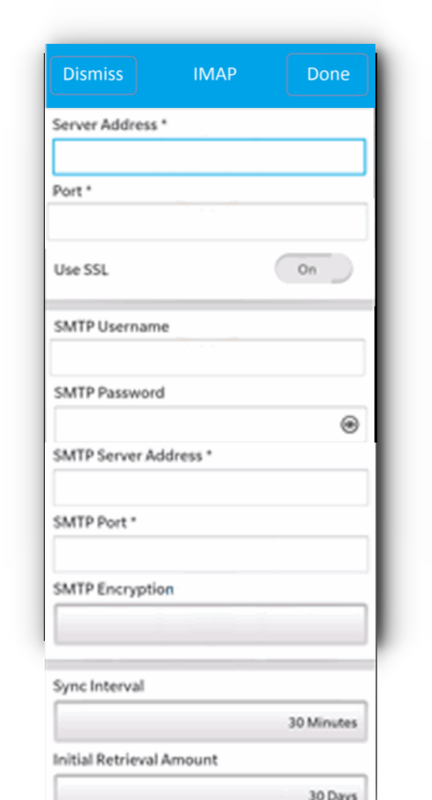 Since this setup is for SSL make sure that the SSL button is On and use the port 995 for POP or 993 for IMAP. Step 9. 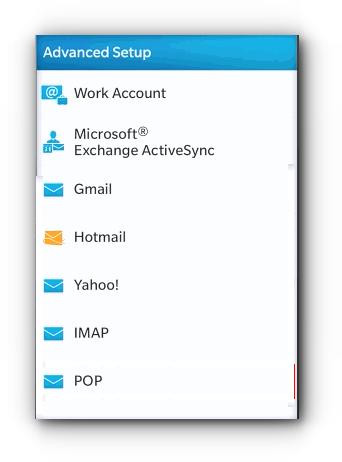 Down to the SMTP Username, this is the same as your email address and the SMTP password is your email account password. Step 9. SMTP Server Address is your mail server. Step 10. SMTP Port is 465. Step 11. Tap Done to save the changes. You may now test your email account by trying to send a test email to yourself. If you wish to access your emails in your BlackBerry device, please follow the instructions below on how to add email account in BlackBerry ( Non SSL). Step 8.Enter the Server Address which is your server name (example mail.yourdomain.com). (If you do not know what the mail server is, kindly be guided by our mail server information page.) Since this setup is for Non SSL make sure that the SSL button is Off and use the port 110 for POP or 143 for IMAP. Step 10. SMTP Port is 25.